How Many Calories Do You Burn Doing Jumping Jacks 5 Minutes a Day? What is the number of calories burned doing jumping jacks for only 5 minutes a day? You are busy and have little time to exercise. But, there is one simple high impact and high intensity full body workout you can do anywhere – jumping jacks. They are a great way to lose weight, shred body fat, increase your endurance, circulation and mobility. You will enjoy many other health benefits by adding jumping jacks to your list of things to do. Even if you do not know the number of calories burned doing jumping jacks. and repeat 5 more times. The first step to know how many calories you burn doing jumping jacks is to find the METs. The Metabolic Equivalent of a Task (METs) will tell you how many calories you burn per hour of activity per one kilogram of body weight. According to the Compendium of Physical Activities((((https://sites.google.com/site/compendiumofphysicalactivities/Activity-Categories/conditioning-exercise)))), the MET for calisthenic conditioning exercises like push ups, sit ups, pull ups, and jumping jacks with vigorous effort is as high as 8.0. In contrast, powerlifting exercises like squats, bench press and the deadlift are only 6.0 METs with vigorous effort. Note this MET number of 8.0 for jumping jacks with vigorous effort. For most people, doing any jumping jacks will require significant effort, especially if you are not in top condition. But, do not be discouraged. Start small and gradually you will build up your endurance and conditioning. Now that you know the METs, you have to calculate your weight in kilograms to find out the number of calories burned doing jumping jacks. 2. What is your Weight in Kilograms? Once you know your weight in pounds, all you have to do is divide that number by 2.2. If you weigh 195.7 pounds, your weight in kilograms is 88.7 or 89 kg rounded up. 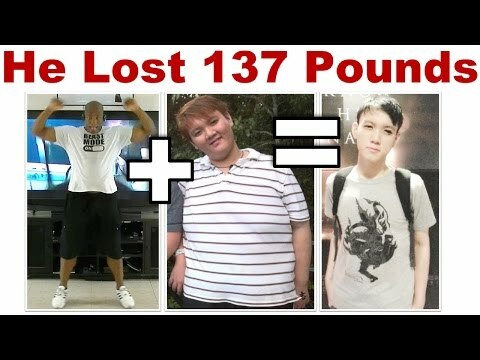 195.7 is the average weight of an American man in 2018 according to the CDC. Go here to calculate your weight in kilograms. Once you know your weight in kilograms, now you can move to the formula in the next step. Calories burned doing jumping jacks (or any other physical activity) = METs x weight in kg x time in hours. If you do an hour of jumping jacks (which is highly unlikely), express the time as 1.0, or .5 for 30 minutes, .25 for 15 minutes, and .08 for 5 minutes. 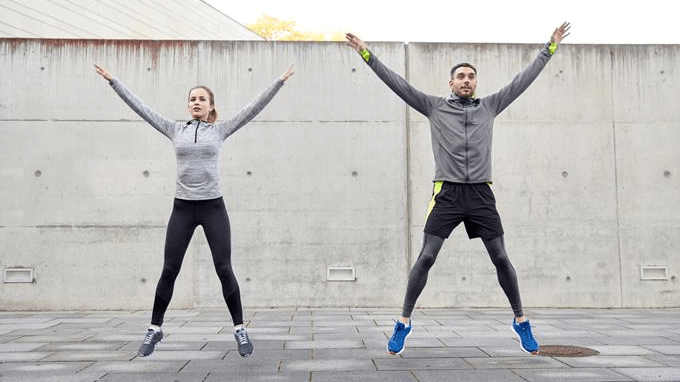 Let's say that you decide to take a simple jumping jack challenge of 5 minutes a day. In one minute you can do about 50 – 60 jumping jacks. So you will do between 250 and 300 jumping jacks every day. Remember, you just need to set aside 5 minutes. You can do 2 minutes in the morning, one in the afternoon and two minutes in the evening. Or do one minute of jumping jacks, rest a minute or more and do another 4 or 5 minute sets of jumping jacks with a rest in between each set for a total of 10 or 15 minutes. How Many Calories Do You Burn Doing Jumping Jacks? Jumping jacks calories burned = METS of 8.0 for calisthenics conditioning exercise of jumping jacks x 89 kg x .25 for a 15 minute workout. 8.0 x 89 x .25 = 178 calories burned doing a 15 minute jumping jacks workout. So how many calories are burned doing jumping jacks for just one minute? Approximately 15 calories per minute, not too shabby! How Many Jumping Jacks to Burn 100 Calories? 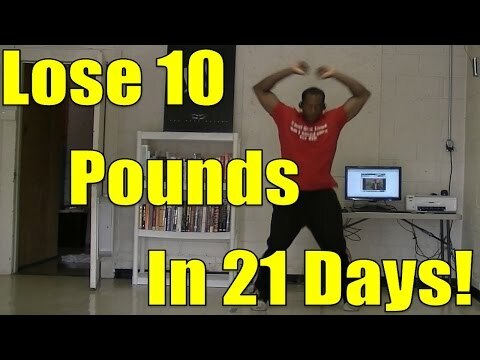 Between 6 and 7 minutes of jumping jacks will burn approximately 100 calories for a 196 pound man. Assuming you can do 50 to 60 jumping jacks in a minute, you will need between 300 and 350 jumping jacks to burn 100 calories. Typically you need to walk a mile to burn 100 calories, which takes longer than 7 minutes of jumping jacks. If you ran a mile in 15 minutes, the METs is 7.1, so if it is a rainy day or snowing, why not do 5 to 7 minutes of jumping jacks in your warm home to burn 100 calories, instead of venturing out into the cold? What is the most overlooked cardio workout which can increase your heart rate, melt belly fat, and which needs no equipment? Not an expensive pair of running shoes, a track, a jump rope, an expensive treadmill, elliptical or gym. To lose weight, improve your cardiovascular health and lower your blood pressure – all you need are jumping jacks. .As long as you have a floor, and high enough ceiling, you can do jumping jacks. Jumping jacks and real food daily will make you leaner and stronger. Eating real food and moving at least 30 minutes a day are two pillars of fast body transformation. With just your own bodyweight and better quality food choices, you can begin to get fit today. This post answers this question – how many calories do you burn doing jumping jacks? If you want to know immediately, here is the fast result: you can accomplish 75 calories burned doing jumping jacks in as little as 5 minutes a day. Of course this depends on your weight and intensity. Check out the rest of the post for more details. Are you a jumping jacks fan? What do you do for exercise when you cannot get to the gym or do not have access to an elliptical, treadmill or pool?